Some people make it their entire lives without experiencing a car accident, but according to experts, the average driver is involved in some sort of collision every 17 years. If an accident ever does occur, it’s important that you know how to properly handle it. You are never legally allowed to leave the scene of an accident until permitted to do so by the police, even if it was minor and you were not at fault. If you seem to be uninjured, go ahead and remove yourself from the vehicle and get to a safe location on the side of the road. If you are injured and need help, repeatedly honk the horn or scream out the window. More than likely, another driver or nearby pedestrian will already be on the way to help you. Whether or not you are injured, you should immediately dial 911 to report the accident and get a police officer on the scene. If you need an ambulance, you can alert the 911 operator of your injuries and seek advice about what you should do before the paramedics arrive. If your car is in the road and you have flares available, set them up down the street to prevent oncoming cars from smashing into the wreckage. If nothing else, be sure to leave your emergency lights flashing. It’s important that you give the police a detailed description of the events that occurred. Tell them everything you know, but be careful not to exaggerate or speculate on any of the information, even if you believe it could help your case. If you are caught in a lie, you could face heavy consequences later. Now that smart phones have become a normal part of everyday life, you really have no excuse not to get documentation of the results of your accident. Take pictures of all involved vehicles, the damage to each vehicle, the license plates of each vehicle and any injuries that are visible on your body. The police officer on the scene will get the information from each driver, but for your own benefit, it’s a good idea to also seek out this information on your own. Ask for the names, addresses, phone number and insurance information for each of the drivers who were involved. You might think that you didn’t get hurt, but it’s still very important that you see a doctor to get checked out. You may be in shock and unable to feel the true extent of your injuries, and seeking a medical attention is important if you want to be able to legally claim these injuries occurred as a result of the accident. 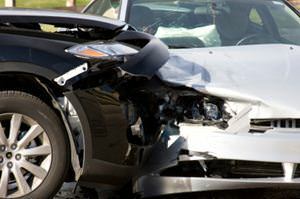 As soon as possible, call your insurance broker to report the accident and file a claim. Some policies will penalize you if you don’t file a claim within a reasonable amount of time. Depending on the nature of the accident, the injuries you received and the damage to your vehicle, it might be in your best interest to hire an attorney. A good attorney will protect your rights and ensure that the consequences of the accident are fair for everyone involved. If you are owed a settlement, he or she will fight hard to win you the highest amount possible.